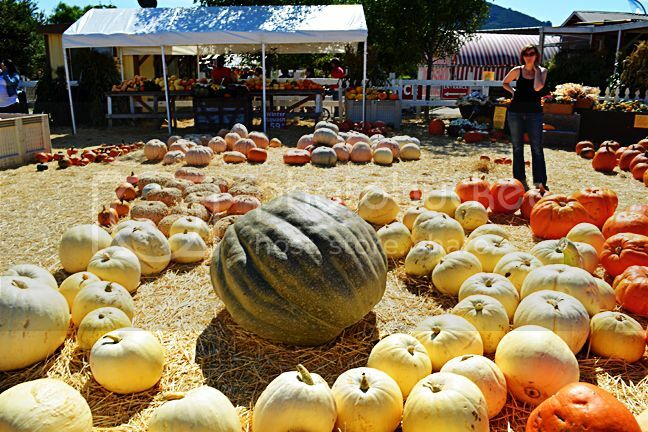 Pumpkins, pumpkins, everywhere I look there were pumpkins! But who says that's a bad thing? I think it's a GOOD thing! 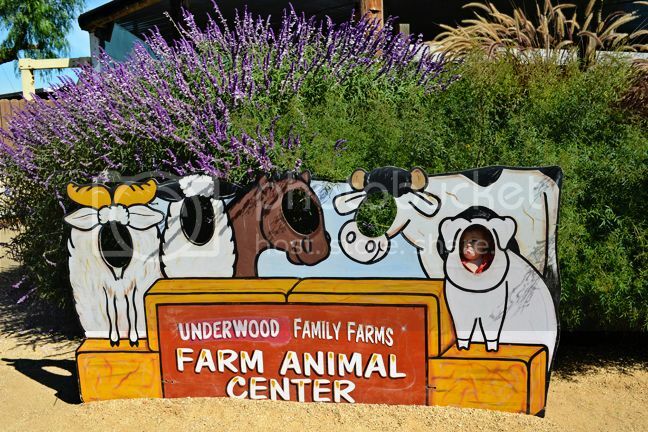 I spy a Fox in a cow. There were a lot of animals. 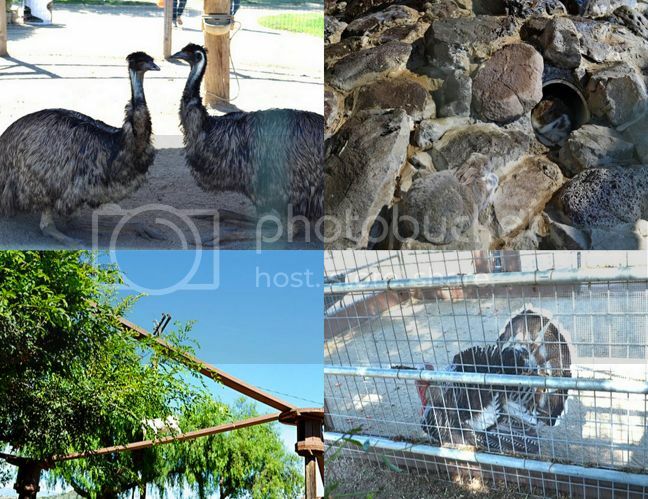 Everything from emus and rabbits to goats, ducks, turkeys, pigs, horses, peacocks... what didn't they have is the more appropriate question it seems! 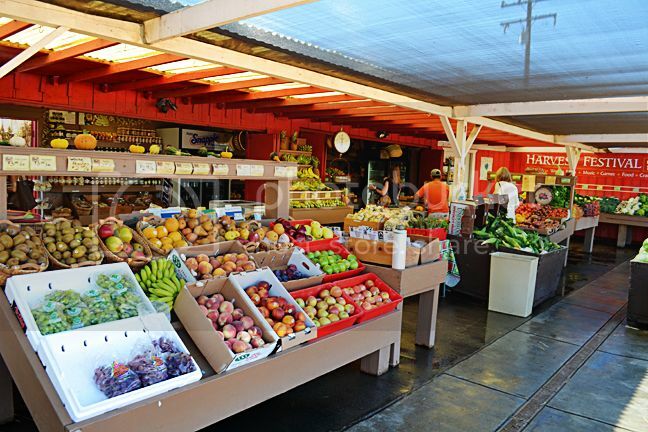 Produce stands and the country store. And lots of food stands that are only open on the weekends. 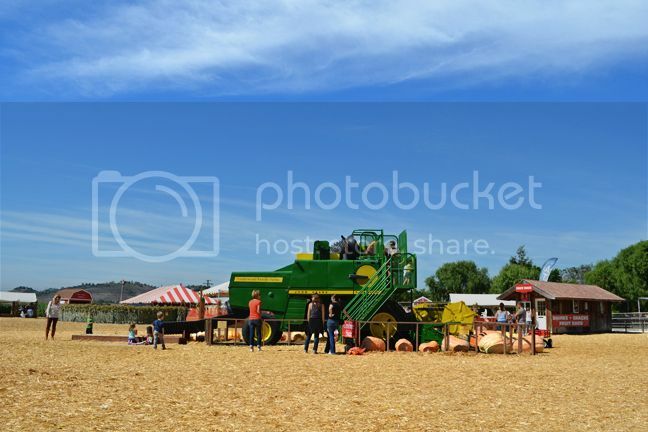 A combine turned into a slide. I took Fox down it. No reaction from him whatsoever. A corn maze! We didn't make it very far into it before chickening out and turning back. 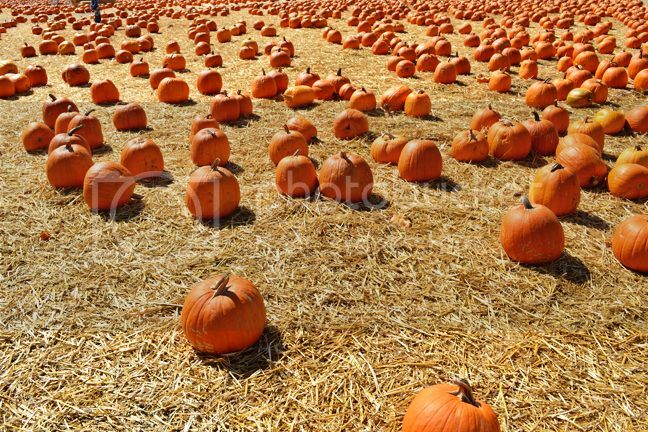 Makes me giddy to see so many pumpkins all in one place at one time. Halloween is almost upon us! 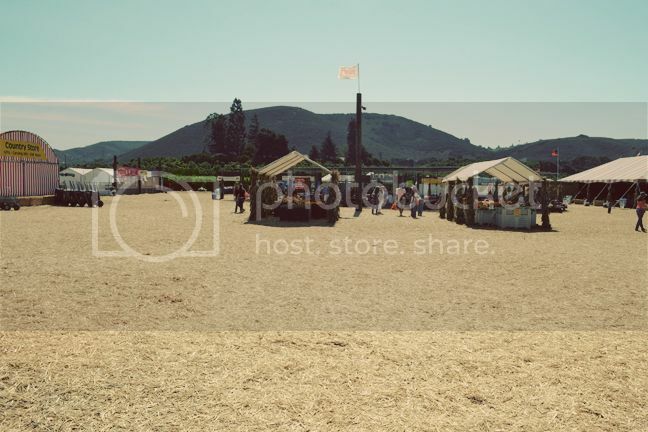 The farm was a lot bigger than I imagined and way more crowded - I think cuz we went on Columbus Day. Now that I know what to expect I'll be more prepared for next year. Cuz yes, we're definitely going back! I feel the same way about Halloween. I think it's my favorite holiday. 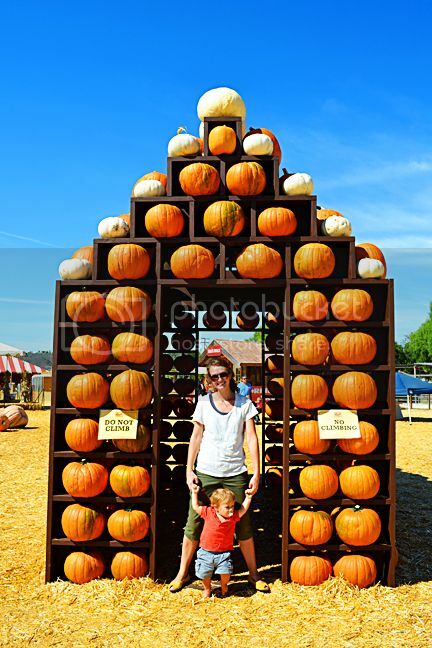 I love the decorations and crisp leaves and pumpkins everywhere! Looks like a ton of fun. Hey that's my home turf. I grew up in Moorpark! 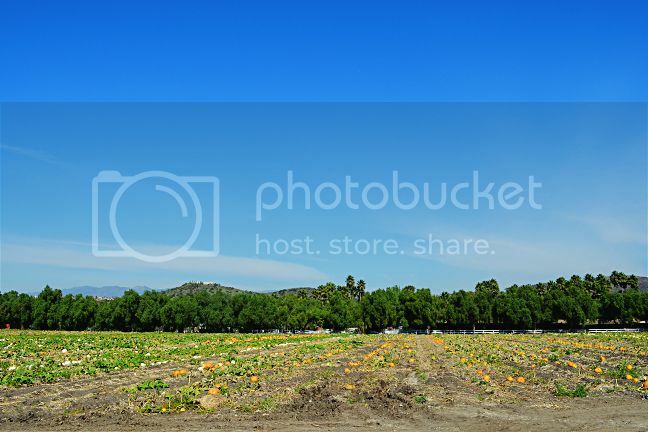 Love that pumpkin patch and the year-round fruit and veggie picking! That place is huge! Looks fun! 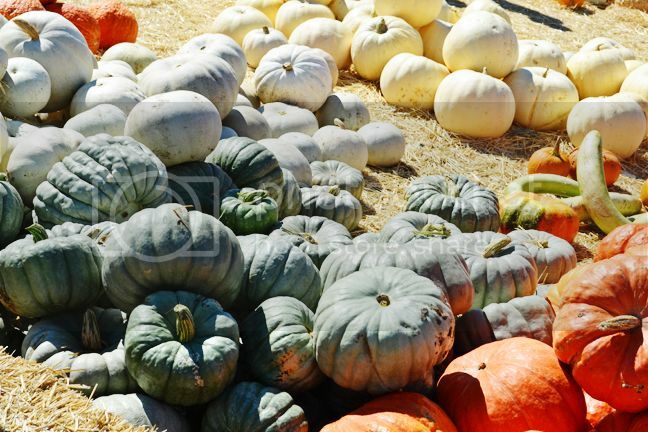 Oh how I adore going to pumpkin patches. We are going to go to one next week. I can't wait. It looks like you all had fun! Well, for the most part. Don't sweat it if Fox didn't seem too excited. Mine get like that... even now. Except mine are doing it on purpose... oh well. 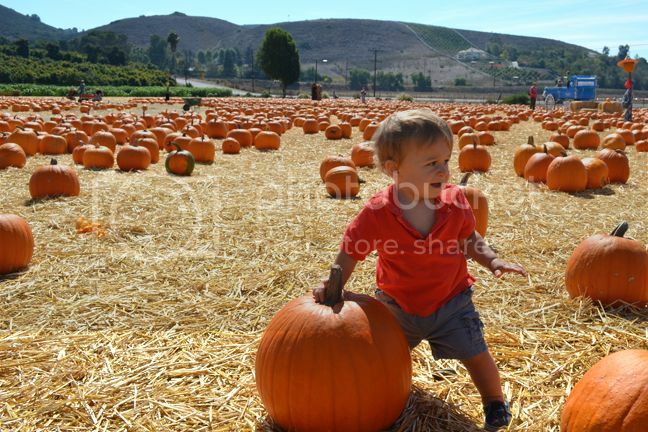 I love how some of those pumpkins are bigger than him!! So flippin' cute!! Great pics. 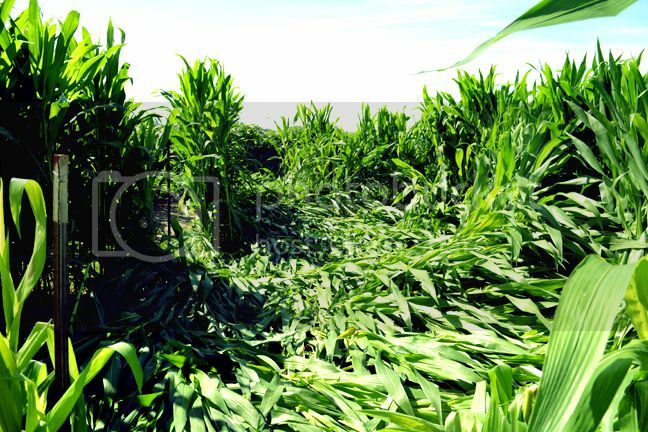 I could never do a corn maze...no way! What great photos!!!!! 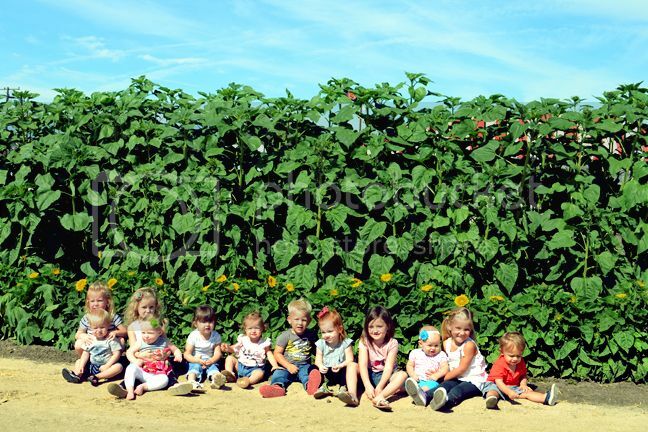 I can not wait to take my kiddos to the patch this year - this weekend I'm thinking - you've totally gotten me into the mood! My friends & I have a bible study group and we all started having babies around the same time. Mine was 1st - he's 6 and the rest have either just turned 6 or are turning in the next month or so. We've also moved onto round 2, my daughter is 3 and we have all the way down to a 3 monther and we always do photos like this. We are now a total of 10 kidlets!! It's so fun to look back the pics of them growing up together. It's really something special! Maybe I can get them out to the patch too! 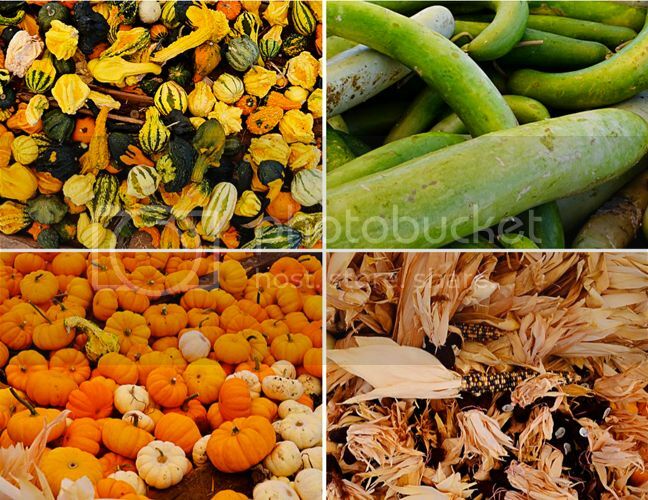 I am just so impressed with all the fresh colors of pumpkins and veges...so lively..Love the fun you had and surely this is a good scrapbooking you will add on! Sorry it was so busy. 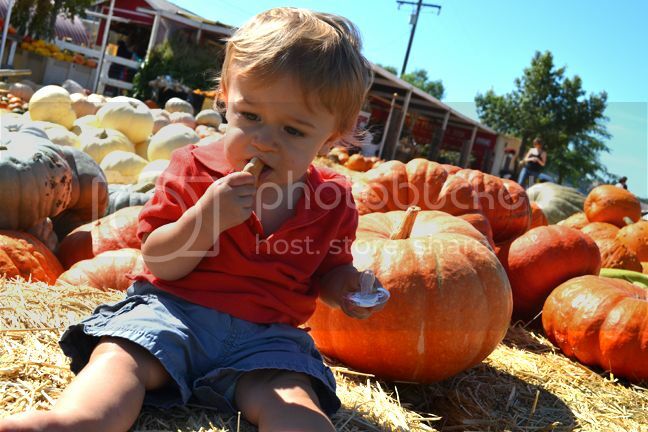 I love taking the boys to the pumpkin patch/farm around Halloween. I try to go earlier in the month so it's less busy, but it's hit or miss! 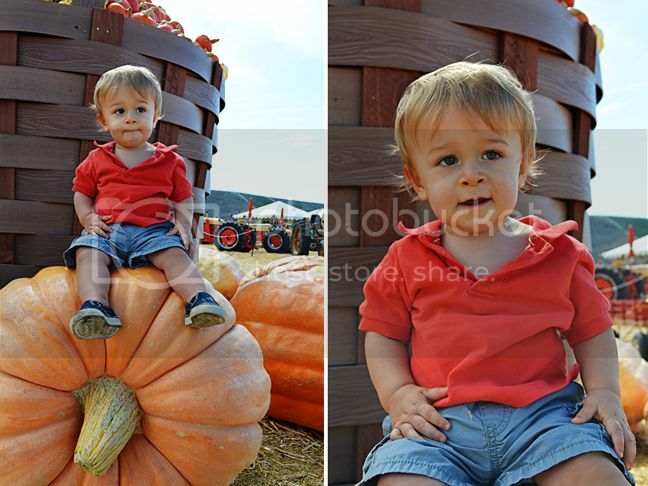 I love the picture of Fox sitting on the giant pumpkin - too cute! The One with Fox's First Steps! The One with Fox's 1st Halloween Birthday Party! The One with Lily's Disneyland Surprise! The One with So Much Scrappy News!